Remy Millott, CEO of GYG, tackles the pertinent topic of plastic in our oceans. There doesn’t seem to be a day when I don’t read about plastic and the damage it is causing to the planet and, in particular, to our oceans. The scale of the problem is immense and the implications for both marine and human health are deeply worrying. Micro-plastic is now being found in the food we eat, the water we drink and the environment in which we live, and scientists are only beginning to study the potential health impact of it. Couple that with the devastating effect of over-fishing, which has left 90 per cent of global fish stocks at risk, and the irreversible damage to coral reefs from bleaching caused by climate change, and you appreciate the scale and complexity of the crisis. 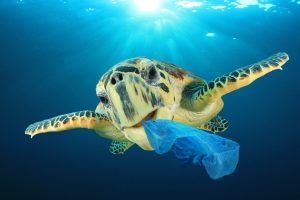 For an industry that is wholly dependent upon the health, beauty and viability of our oceans, we clearly need to effect change within our businesses, within the industry and at policy level with international governments. It’s clear from the industry media that there is an increasing focus on the issue and a significant number of constructive initiatives are being taken by numerous leading companies. Like many of my senior industry colleagues, I have been inspired by high profile documentaries such as The Blue Planet, A Plastic Ocean, Chasing Coral and The End Of The Line which have provoked debate and action within the industry. Y.CO’s Clearwater campaign, The Superyacht Group’s own Ocean Chari-Tee Project and Kjell Inge Rokke’s exciting new Research Explorer Vessel (REV) also help to make an impact and raise awareness across the superyacht industry. GYG has always striven to be at the forefront in terms of its environmental policy, having implemented its environmental management system to achieve ISO 14001 certification since 2005. Through the ISO system we measure our environmental impact and set annual targets to drive improvement across our operations. The adoption of electrostatic application technology has enabled us to cut waste and environmental contamination by 70 per cent. As an organisation with more than 400 employees worldwide, we have introduced initiatives to raise awareness and change behaviour with the aim of reducing waste. We raised €101,315 through charitable fundraising from the 2017 Pinmar Golf tournament and this has been used to great effect supporting a host of worthy Mallorca-based and industry-related charities. While we will continue to support such charities, we have decided to introduce an environmental focus to our fundraising to help address the emergency in our oceans. Starting at this year’s 30th anniversary event we will apportion 25 per cent of the fundraising to projects focused on ocean conservation. We have chosen to partner with the Blue Marine Foundation, a UK-registered charity whose aim is to put 10 per cent of the world’s oceans under protection by 2020 and 30 per cent by 2030 by delivering practical conservation solutions, including the creation of large-scale marine reserves. Through the Pinmar Golf fundraising and our partnership with Blue Marine we will be supporting several projects and lending our influence and voice within the industry to effect change; we’re aiming for the 2018 Pinmar Golf to be free from single use plastics. I believe we have reached a tipping point, not only within the industry but also in society as a whole, where we recognise that we have to act now to address the state of our oceans. We need to innovate, invest and change attitudes and behaviour at every level. If we can begin to eradicate the nine million tonnes of single-use plastics that end up in our oceans, it will be a major step in the right direction.